The Leki Super Micro pole can be collapsed to fit easily in your luggage and the Fizan Compact Pole is the worlds lightest alloy trekking pole. In store we have a huge range of hiking and trekking poles. 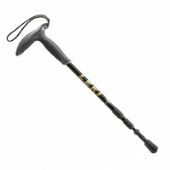 Here on our website we have selected the most popular of the trekking poles with unique design features.